21Prive casino is an online casino site which offers hundreds of different kind of games to online casino players. 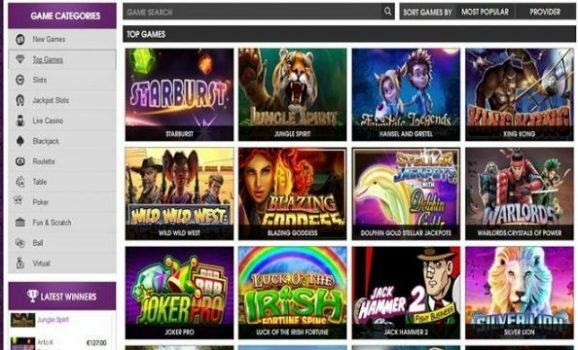 The site uses gaming platforms like Microgaming, NetEnt,Nextgen Gaming, OMI Gaming, Evolution gaming, Quickspin, Leander Gaming, Amaya, Igaming2go and many top class service providers. The site offer huge bonuses t its players as well. The site was launched back in 2014 and the owner of this online casino is Caddell Limited Online casinos. The casino is licensed by Curacao and UK Gambling Commission. One can play real money online casino games here without downloading any software, because the site offers instant and mobile play option to players. 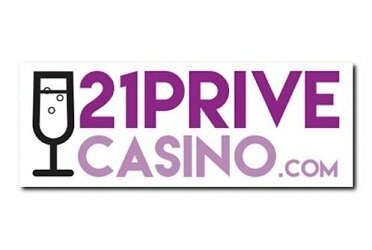 21 Prive casino does not accepts players from American Samoa, France, Ghana, Guam, Indonesia, Iran, Israel, Italy, Kenya, Latvia, Tanzania, Thailand, Turkey, U.S. Minor Outlying Islands, U.S. Virgin Islands and the United States of America. 21Prive casino offers a lot of great bonuses to its players. The casino offers basically 100% to up to €500 of welcome bonus to every player. Not only this, but the casino offers 100% match on unlimited deposit. It means if you are making a deposit of €$500 then you would receive €$500 from the casino for free. The site has plenty of free spins for its players as well. There are plenty of games, on which hundreds of free spins are being awarded to players. 21Prive Casino has over 500 games to its inventory. As we mentioned earlier, the site uses gambling platforms like Microgaming, NetEnt and evolution gaming, which are the leaders among all gaming platforms. They provide world’s best online slot games, live casinos, table games, video poker kind of things to the players of the casino. Games like Immortal of Romance, Chili Gold 2, Luck of the Irish Fortune, Silver Lion, Dolphin Gold, Nlazing Godess, Super Fortunate dragon, Suger Parade, Six acrobats, 108 Heroes, Red Roo, Super Lucky Frog,Monster of fortune, Jurasssic world,Wild jane, Beautifuk Bones,candy Dreams, Fortune Grls,John Doe, Spartus and Joker fortune kind of online slot games are available at the casino. The Casino has jackpot slots like Mega Moolah,naked Guns, Major Millions,Super Spiner, Cupid, Top cap, Mega Moolah ISIS,Lion Festival, King Cashlot, The pig Wizard, Diamond jackpot, Apollo,Treasure Night, cashspalsh 5 Reel, Lotsaloot of 3 reel and slots o gold are also featured at the site. Blackjack games like European Blackjack Gold and classic blackjack gold are at the casino. European Roulette is also available for roulette players. Jacks or better and Aces and eighths are there for video poker. 21Prive Casino is smart enough to provide online casino games at mobile phones as well. You don’t need to download the software at your own machine, but you could easily play any slot game instantly at the browser and at your smart or mobile phones. There are plenty of methods available using them you can either deposit any amount of money or could withdraw your winning share from 21Prive casino. The deposit methods are MasterCard, Neteller, Paysafe Card, Ukash, CashU, Visa, Przelewy24, iDEAL, Sofortuberwaisung, POLi, GiroPay, EPS, EC-ELV, Teleingreso, DineroMail, QIWI, Skrill, TrustPay, inpay and SafetyPay. Meanwhile withdrawal options are wire transfer, debit or credit cards, skrill, Neteller and many others. 21Prive casino is ready to assist its players anytime. The casino has an option of live chat. It means anyone can contact the team using this live cat option. You can also send them a mail if not interested in chatting and they will contact you within no time. To contact them using an e-mail service you can have their e-mail i.e. support@21prive.com. Just like all other gambling portal 21Prive also holds latest SSL certification (RapidSSL encryption) for their site. It means no financial or personal data is compromised here at the casino. You can play real money games without any fear of data theft. 21prive casino could be a good decision for you, if you are looking to play online casino games at internet. The casino is good at mobile phones, instant play option, top class software and games and good security platforms as well.